1. I lived in Bisbee. Why is that important? Because one day a lawyer friend who lived in the apartment next to us introduced us to another lawyer friend—her name was Laura Cardinal. The moment I met her, the first words out of my mouth were, “If I ever write a female detective, I’m calling her Laura Cardinal.” I had no idea at the time that the fictional Laura Cardinal would come to life in three novels, The Laura Cardinal Novels, and two novellas, Cry Wolf and Flight 12. Laura Cardinal is now the presiding judge of Cochise County. 3. I think I managed to reach that bar. The story is harrowing, but over the years, I’ve learned how to write with mercy. By that I mean, the dead at the beginning of a book are fair game. You just have to be very careful moving forward. Especially when it comes to children and animals. There are plenty of bad guys to kill. 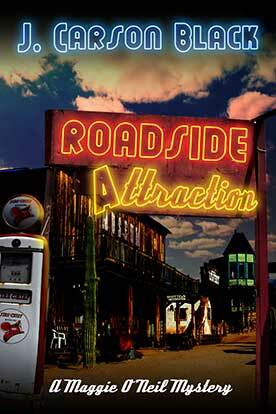 Darkness on the Edge of Town is the first book in The Laura Cardinal Series. 4. Darkness on the Edge of Town was the book that made me the writer I am today. It was a personal best. 5. I spent a lot of time preparing for this Laura Cardinal book, the first in The Laura Cardinal Novels. I even dredged up some scary stuff from my childhood in Tucson. I learned a lot from the good people at the Department of Public Safety. I learned that a detective with the Department of Public Safety could assist on homicide investigations anywhere in the state—which would always cause problems. Laura Cardinal would be an outsider and treated as such. Without him, I don’t know if there would be The Laura Cardinal Novels. 6. I tried to be fair and make the story real, but I did not GO THERE. I went close, but I DID NOT GO THERE. I came close to the edge, but there has to be some trust between the writer and the reader, and I did not break that trust. I got them as close as I could to the danger, but I did not cross that line. 7. But the story is harrowing. It even scares ME. 8. I drew on a few terrifying stories from my own past in my town. 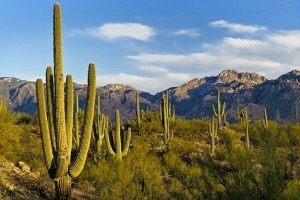 Tucson was predated upon by an evil home-grown killer, Charles Schmid. He killed three young girls. 9. 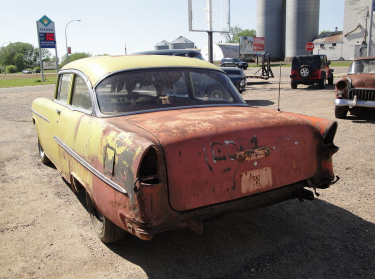 Another time, I was chased by a guy in an old orange 1950s car. I was fourteen. I wrote it down, of course. That’s the way I roll. I found it when I was coming up with this book, that obviously has deep meaning to me. The guy was scary as hell and chased me for blocks, right out of a horror movie, coming up one street and down the other in his crappy old car. I was so scared, because even running up to one of the houses and knocking would have taken too much time. I was lucky that I knew the neighborhood, and one of my best friends happened to be outside watering when I reached their house. The bad guy drove away. 10. So yes, I have the imagination, but I keep a lid on it. I try to be truthful but not delve too deep. However, everyone has their own depth, everyone has their own fears, everyone has that line that they will not cross. 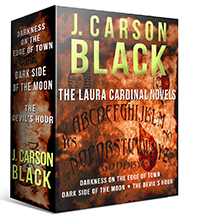 You can read all three novels of the Laura Cardinal series in The Laura Cardinal Novels, a 3-in-1 edition, now on sale for $0.99 through June 6, 2016 at Amazon, Barnes & Noble, Kobo, and Apple. 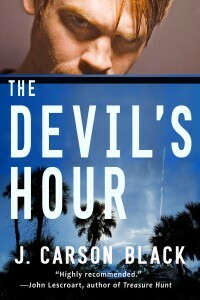 In The Devil’s Hour, Laura Cardinal finds herself enmeshed in a cold case—a very cold case. A young girl went missing many years before, then surfaced as a young adult. She returned to her family, but she was a very different person from the child who disappeared. Department of Public Safety detective, Laura Cardinal, meanwhile, was looking into a string of cold cases regarding missing and dead girls. Back at the time of Micaela Brashear’s disappearance, two other girls had gone missing and were found dead. Did the same killer take all of the girls? And if so, how did Micaela survive? Detective Laura Cardinal wondered how Micaela had survived such horrific circumstances. Now, a similar story has turned up in real life. Richard Wayne Landers Jr. was only five years old when he disappeared. He turned up nineteen years later, living in Minnesota under another name. Cases like this inspired me to write The Devil’s Hour. Did his grandparents spirit him away from his family? They were prosecuted on a felony charge of kidnapping, but the charge was dropped due to lack of evidence. Nineteen years later, Richard Wayne Landers was found in Long Prairie, Minnesota. How was he found? Through his Social Security number and matching birthdate. The question that intrigues me most: how was the path taken different from the path that young man walked as a child? How did that bear on the personality of the man he had become? Regarding the return of Michaela Brashear—and the other girls who were killed around the time she disappeared–you’ll just have to read The Devil’s Hour to find out how it ends. A story ripped from the headlines. 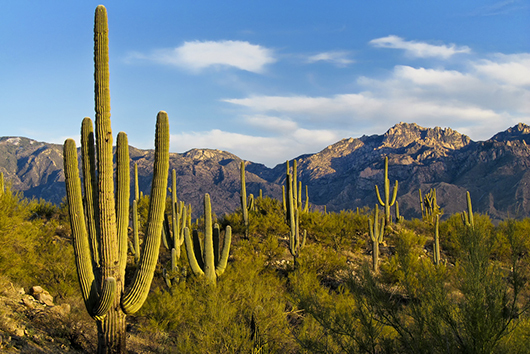 When I came up with Arizona Department of Public Safety homicide detective Laura Cardinal, it was like setting up a train set built to my specifications. 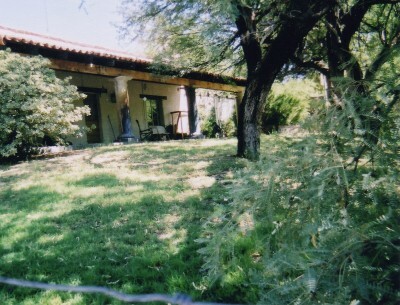 I put her in a beautiful place—a ranch outside Tucson. After some research, I decided to make her a DPS detective, because she could go anywhere in the state of Arizona to assist on difficult homicides. This made her an outsider, which meant plenty of tension with the locals every time she went to a crime scene out of town. I already had a story in mind. So I was ready to rock ‘n roll but then I had to do one thing: I had to start writing the darn thing. WHAT? Who was THIS guy? I’d already decided that Laura would have a crusty old detective for a partner. I just didn’t know he’d show up in her bedroom in the first sentence on the first page—as her DEAD partner. I’d just met Laura Cardinal’s sidekick. 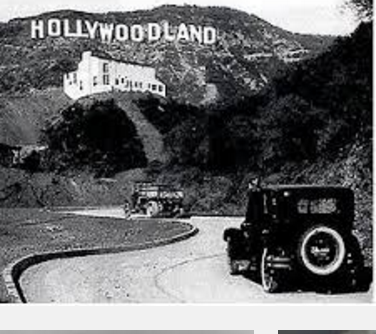 Hollywoodland, before it was Hollywood. I should have known he’d have spooky underpinnings, though. When I chose his name, I wanted something a little bit spooky, so I thought of the sad story of a young aspiring actress in the 1930s named Peg Entwistle. Peg Entwistle wanted a career in movies, but Hollywood was unkind to starlets, even then. On September 18, 1932, a female hiker discovered a woman’s shoe, jacket, and purse at the base of the Hollywood Sign (at the time, the letters spelled HOLLYWOODLAND). The woman found a suicide note inside the purse. She looked down and saw twenty-four-year-old Peg Entwistle, sprawled on the rocks and brush below. 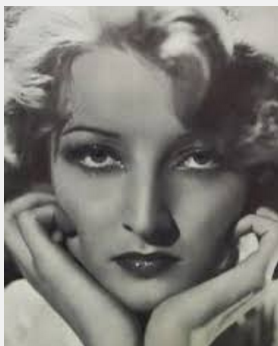 It was a memorable and spooky story, and I was in a spooky mood, so I named Jolie’s sidekick, homicide desk partner Frank Entwistle, after Peg. No wonder he turned up as a ghost. 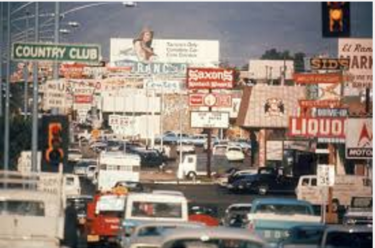 Speedway Boulevard in Tucson–“The Ugliest Street in America”–as featured in Life magazine, 1970. I tapped into another time and brought it into the present. 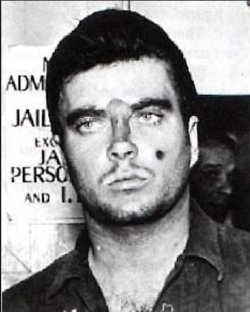 I also resurrected a homegrown loser named Charles Schmid—the boogeyman of Tucson. Schmid might as well have been born with the word LOSER stamped on his forehead. He thought he was hell with the ladies, but he was insecure, too. He slipped smashed-flat beer cans into his caballero boots to make him seem taller. Schmid decided he wanted to kill girls to see what it was like. And stupid is as stupid does: he targeted girls he knew. He killed three teenaged girls. A few years later, I met the surviving family of two of the victims and their youngest girl. This was at Cottonwood Farm where we both had riding lessons. And there they were, this family that had lost two daughters, carrying on, moving forward, loving and appreciating the daughter they had. My mother wrote. She kept clippings on Schmid’s tragic crime spree and prepared to write about it, but ultimately, she couldn’t. I remember the chill it gave all parents, who kept their kids indoors or watched us with an eagle eye in the aftermath of the murders. As I was preparing to write Darkness on the Edge of Town, I took a look at my mom’s clippings—and another puzzle piece clicked in to the story I was writing. Old stories, unearthed and dusted off. And changed. I was, and still am, haunted by the yellowed clippings about Charles Schmid, the preening loser who managed to destroy the lives of good people. I have always felt that homicide cops—the good ones—try to make some sense of the death if they can for the families. People are meaning-making machines and they need something to hang their hat on, no matter how tenuous. Some comfort, no matter how inadequate, for the stunned and bleeding families. Imagine an author saying words are cheap. Words are everything to an author, right? Well, yes and no. Here are a few things that I’ve learned about MY words over the years. I prize a well-turned sentence and a great paragraph and become attached to them. When I have to cut that well-turned phrase or paragraph it pains me. For a while. Sometimes I copy and paste it somewhere else, hoping to reuse it, but that almost never happens. I start writing and keep writing until I get to the end of a scene, even when I don’t know where I’m going, so sometimes I have to start over and write the whole thing over again from a new perspective or after more plot ideas come to light and change the slant of the narrative.Hat Tip: Did you know that the great thriller writer T. Jefferson Parker wrote his first book 7 or 8 times? he just threw out the last draft and started afresh each time. Here’s the kicker: those words and paragraphs are not lost. I see them this way. They are like trails emblazoned across a mountain. They might peter out, they might not be the right trail, but you get to know the topography of the land, you get to know the general area, you know where you had to turn back, and so you blaze a NEW trail. And the new trail sometimes follows very closely to the old one, but it is more efficient. It is a better way to get over the mountain. Thank you for following along with me as I figure out this novella. So I thought I’d give this thing a name: The Laura Cardinal Project. To catch you up, I came up with a novella, and I loved it so much I started writing it. Then tragedy struck, and I realized I couldn’t use the main character Cyril Landry. Fortunately, I have a deep bench, and the tough but gracious DPS homicide detective Laura Cardinal agreed to help out. This is the jumping-off place for my story, and I want you to follow along with my process. You might even be moved to write your own story with your own characters (and a premise like this one.) Who knows? So if you’re at a party, you can throw that one around. “That was one heckuva inciting incident you had there,” or something like that.